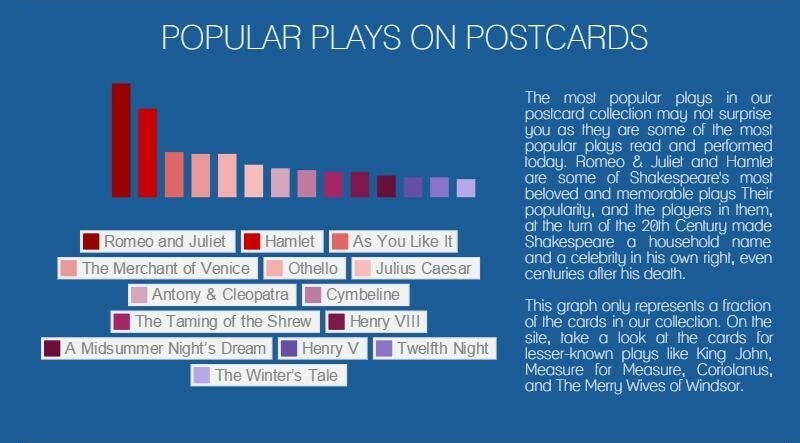 This graph shows the most depicted plays on the postcards in the collection. *Romeo and Juliet* and *Hamlet* lead by a long shot with *The Merchant of Venice* a distant third. *The Winter’s Tale* is last on this list, but there are many more plays in the collection with fewer than 10 cards not represented on this graph.